Additional costs per year:Travel costs to and from professional placement locations and field trips. 64 UCAS points with at least 24 points from one full A level or equivalent BTEC National qualification. We accept AS levels. We accept General Studies. Access to HE Diploma from a QAA recognised Access to HE course in social science, health studies, health science, nursing or another relevant course. Normally we require 15 credits at level 2 and 45 at level 3. 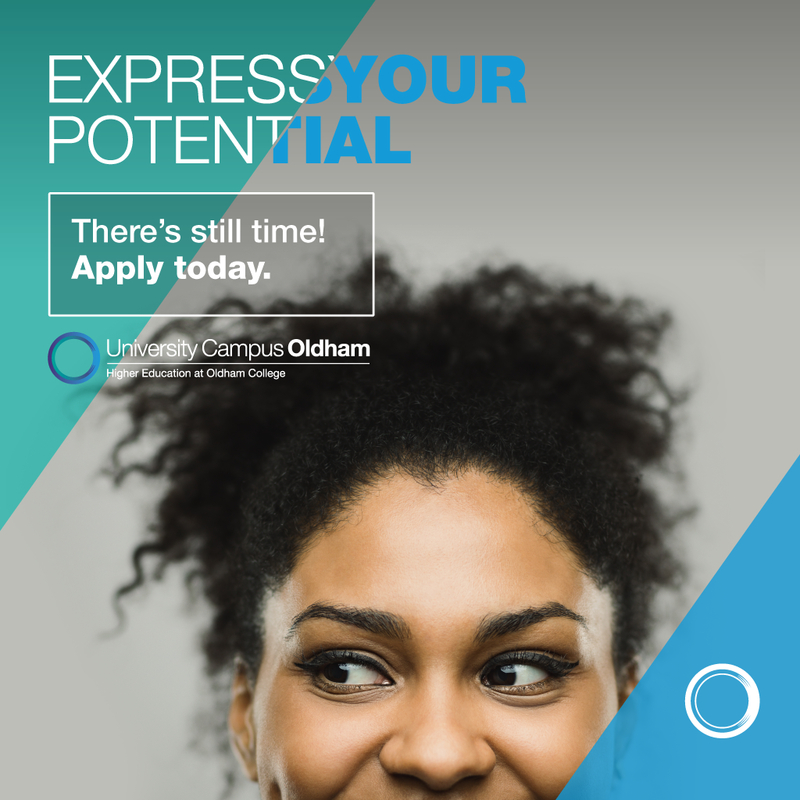 Students who have not yet got a Grade C or above will be encouraged to take a maths qualification whilst completing their studies at UCO. You need to demonstrate experience of working with children, young people or families in a paid, voluntary or caring capacity, and provide a reference from a current or recent employer or educational institution. Students will be encouraged to undertake maths qualification whilst completing their studies at UCO. FdA Children and Young People validated by Sheffield Hallam University. This course is aimed at people who are interested in working with children, young people and their families. The course enables you to study and develop specialist knowledge and skills relating to generic themes and disciplines such as child development, sociology, psychology, education, supporting families and safeguarding. You will develop your independent thinking, analytical and communication skills and this will help you become a clear and confident writer. The course is available in a 2 year full time or 3 year part time route. The part time route is aimed at individuals who are currently employed to work with children, young people or families. This route is aimed at individuals who have an interest in developing the knowledge and skills for working with children and young people aged 0-18 years. Previous experience of working with children, young people or families will be advantageous for mature students who may not have the required UCAS points. The course enables those already working with children and young people aged 0-18 or families to further develop their knowledge and skills. This route is designed to enable practitioners to undertake reflective practice with academic application and to further develop their academic and vocational knowledge. This module supports students in developing an awareness of professional practice within the children and young people’s workforce. It will develop students’ knowledge around key law and policy considerations. This module has an emphasis on developing students’ reflective practitioner skills, team work skills and to develop their practice through the completion of practical tasks whilst on placement. To complement this module full time students will be on placement for approximately 150 hours. This module supports practitioners to develop essential knowledge and skills around safeguarding. This module supports students to develop the academic skills they will need to compete their Higher Education study. This module examines the local children and families support services from a range of sociological perspectives. This will include an examination of the role of the Multi Agency Safeguarding Hub, Early Help Intensive Family Support, and Children’s Services including Residential Social Work, Looked After Children and Social work. These services will be evaluated in the context of contemporary health and social care policy. This module explores valuable learning and development and attachment theories to support students to understand the how children and young people develop physically, emotionally and cognitively. Key transitions and how practitioners support children and young people through them will be examined. This module builds on the insight and experience students gained in the Professional Practice module. This module is also a work based learning module and will require approximately 150 hours in a work based setting and will run throughout the year. This module supports practitioners to develop valuable insight into their developing interests and practice. Students will be supported in engaging in practitioner research to support the developing professional practitioner. This module builds on the theoretical perspectives of the Exploring Behaviour, Development and Transitions Module. This module is concerned with the theory and perspectives of learning and development and will enable students to develop their understanding of the broad spectrum of informal and formal education local practices. This will include schools, youth work and outdoor education including forest school provision. This module builds on the Exploring Behaviour, Development and Transitions module. Drawing on contemporary research and Government Policy this module will critically examine the mental health issues faced by children and young people today. The concept of resilience will be examined and the role of the practitioner will be evaluated. This module builds on the insight and experience students gained in the Professional Practice module. In this module students will develop a critical understanding as to effective management and leadership skills and qualities to ensure positive outcomes for children and young people. This module builds on the sociological perspectives introduced to students in the Supporting Troubled Families module. This engaging module will focus on issues such as childhood in crisis, children and young people as consumers and investigate how children and young people are viewed over time through historical perspectives, questioning the social construct of children and young people. This module supports students to develop the academic skills they will need to complete their Higher Education study. This module explores valuable learning and development and attachment theories to support students to understand how children and young people develop physically, emotionally and cognitively. Key transitions and how practitioners support children and young people through them will be examined. This module supports students in developing an awareness of professional practice within the children and young people’s workforce. It will develop students’ knowledge around key law and policy considerations. It has an emphasis on developing students’ reflective practitioner skills, team work skills and to develop their practice through the completion of practical tasks whilst on placement. Those students participating on a part time route will link their current employment practice to the knowledge gained in this module to enhance their continuing professional development. This module builds on the theoretical perspectives of the Exploring Behaviour, Development and Transitions Module. It is concerned with the theory and perspectives of learning and development and will enable students to develop their understanding of the broad spectrum of informal and formal education local practices. This will include schools, youth work and outdoor education including forest school provision. This module builds on the insight and experience students gained in the Professional Practice module. This module supports practitioners to develop valuable insight into their developing interests and practice. Through this module students will be supported in engaging in practitioner research to support the developing professional practitioner. This module builds on the sociological perspectives introduced to students in the Supporting Troubled Families module. This engaging module will focus on issues such as childhood in crisis, children and young people as consumers and investigate how children and young people are viewed over time through historical perspectives, questioning the social construct of children and youth. The FdA in Children and Young People course has been designed to be responsive to the local employment, social and environmental needs. The team have strong links with a range of employers from across the Children and Young People’s Workforce and Family Support/ Social Care Services. These working relationships will provide opportunities for a range of quality Education, Children’s Social Care and Youth Work professional practice placements to meet the diverse demands of student needs.